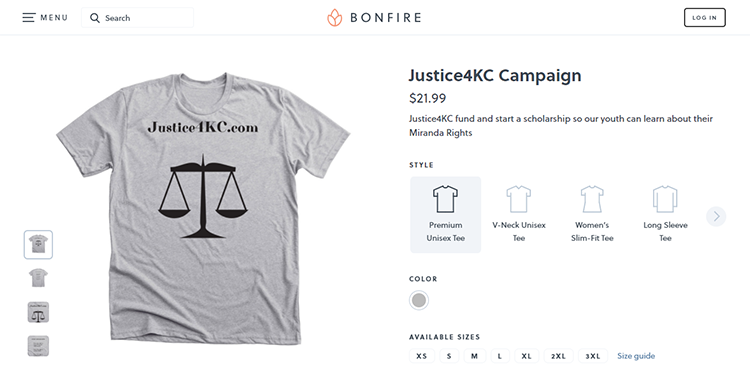 Log onto bonfire.com/justice4kc-133 and buy your choice and style of shirt to participate in our new fundraiser. Shirt orders can be placed until September 12, 2017 and mailed directly to your home in time to wear to the spaghetti dinner. Let us blanket our communities with awareness for those at risk being unaware of what our Miranda Rights truly mean. To all of those that have supported me in any way, big or small, I would like to say Thank You and that my family and I greatly appreciate the love and generosity that you have showed. KC and other innocent victims convicted of crime in which they did not commit search everyday for answers to questions that plague their minds. Letter from Carl Grondin, Sr.
My family and I can't say enough in thanks for all your support and prayers. It may have been raining Saturday, but the light was shining in our hearts with all of you being at our dinner at the Dryden Vets Hall. Appreciation Dinner on Sept 10! We at Justice4kc want to show our thanks and gratitude to all of our donors and supporters by having a Justice4kc Appreciation BBQ Pulled pork dimner by Mike Terry on Saturday, September 10 starting at 3pm. It will be held at our lovely, local, revamped Dryden Vets Hall mostly outside. There's no cost. This is not a fundraiser but an appreciation dinner for our supporters! DRYDEN — When Natalie Town thinks of her cousin KC Grondin, she thinks of the love, laughter and good times that defined their relationship. Today, she wants to remind KC—and the world—that those are still the traits that define him, even in the wake of his October, 2015 conviction for the 2011 shooting death of Andrea Eilber, who was 20-years-old at the time. Earlier this month, Lapeer County Circuit Court Judge Nick Holowka sentenced KC to life in prison. Those are only a few words that come to mind about the Fish Fry for KC we had tonight. It was crazy busy, fun, but so awesome to see the love and support from friends and family from all over! 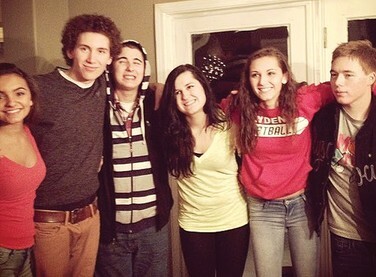 People we haven't seen in years. Fish-fry Fundraiser on December 4th! The fish-fry will be held at the Dryden Vets Hall on Friday, December 4th, 2015 at 5pm - 9pm. Come join friends and family for a delicious dinner while we're raising money for KC's defense fund. We'll also be having a 50/50 raffle and bake sale during the evening! $10 all-you-can-eat tickets will be sold at the door. We will keep you informed of fundraisers and any other events in support of KC'S defense. The first fundraiser is Friday Dec. 4 at the Dryden Vets Hall. Please mark your calendars and when we have a time set up we will let you know.